Science Department of the university organizes research works of departments and provides with research materials. It was established in 2011 and subdues to the Department of Science and Innovation. 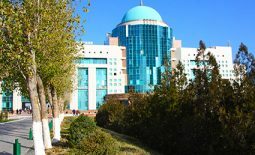 The main function of the department is planning and combining research works of the University; regulation and supervision of research works on the annual plan of the teaching staff and researchers; implementation of scientific policies of the University; controlling the quality of planning, combination and accomplishment of research works; organization of scientific events at the university; organization of training workshops to enhance the skills of researchers; ensuring the protection of confidential data; informing scientists about current international and national scientific conferences and competitions. The main directions of research works of the institute: “Creating environment protection activities by economizing resources and directed to effective usage of biotechnological and other methods on the base of recycling the natural minerals and remaining of human being activities”. 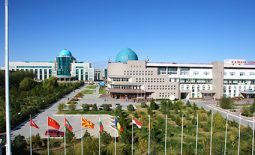 The Institute was founded by the №4 (23.06.2000) decision and by the №1661 (18.12.2000) order of the Senate of Akhmet Yassawi University. The main focus of the scientific-research institute is to study the complex problems in the field of Turkology. 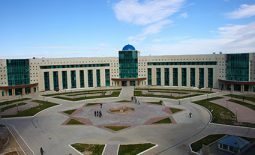 The main purpose of the “Archaeology” scientific-research center is to define the origin of Turkic civilization, the period of formation, development stages, as well as to disclose the existence of the general history of Turkic nations. Turkic civilization was formed in Eurasian steppes, and has a considerable contribution to the development of world civilization through thousands years of history. 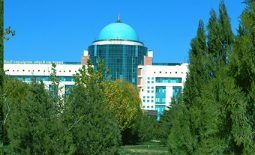 The natural science research institute was founded by the №48 (24.06.2014) decision of the Board of Trustees of the Akhmet Yassawi University. 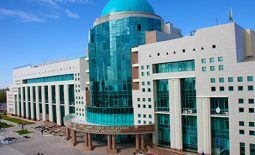 The main focus of the Natural science research institute is the natural sciences, which provide and conduct basic and applied problems of innovative research. The main focus of Medical research institute is the investigation of the complex problems in modern medical research. The main direction of research works of the institution is the deep investigation of actual problems in the international field of science. The main goal of the Scientific-Research, Expert-Analytical and Methodological Center of Religion Studies named after Ahmed Yasawi is to conduct multi-vector, multilayered research works on fundamental scientific projects in the field of religious sciences in accordance with secular principles.